Fashion inspired girls birthday cards with a wonderful vintage feel, perfect for girls of any age. 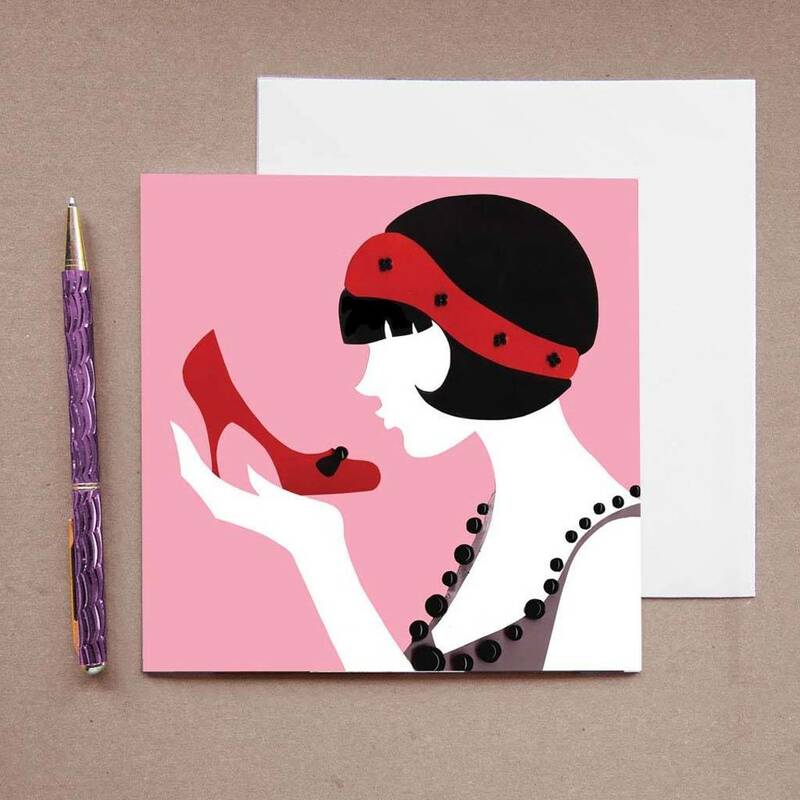 Perfection (the pink design) & Birthday Girl are retro inspired,elegant and glamourous girls birthday card designs. 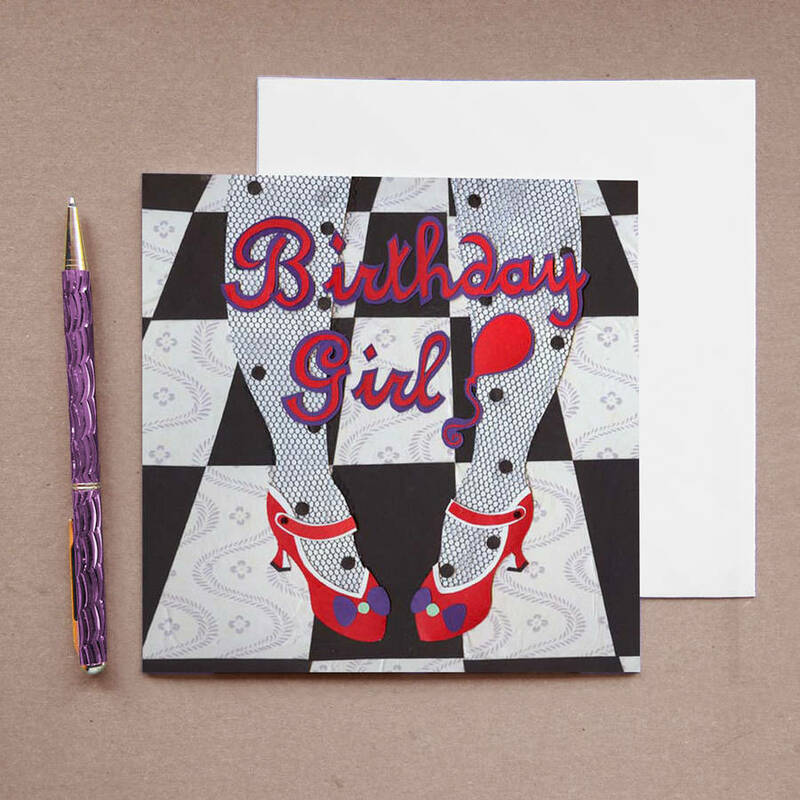 These make wonderful birthday cards for her, for fashion loving ladies of all ages! These designs were created as a paper, fabric and bead collages so you can see lots of detail even in the cards. Check out the polka dot tights, the decorative tiles and the fab shoes! Each card is blank on the inside or your own message and printed on high quality white card. They come with a white envelope and are packaged in individual cellophane bags.